Farm Stand Apple - True sweet and tart apples. Refreshing and mouthwatering just like the real deal. ♥Water Colour♥ The most stunning Berry red with silver lustre! 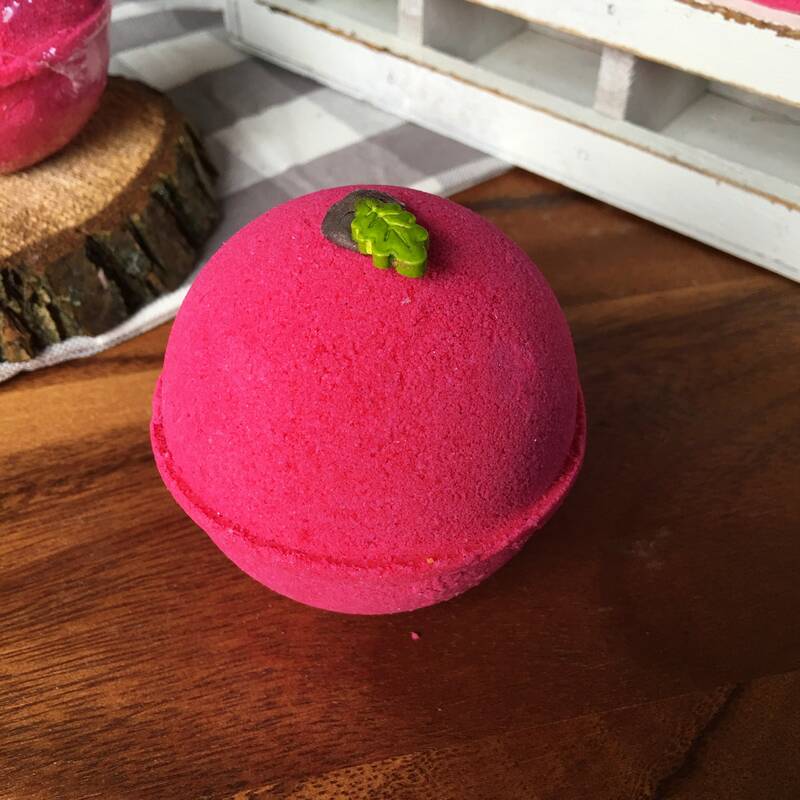 Our bath bombs are loaded with skin food they moisturize and make the moist beautiful bath water you've ever seen without out staining the tub! ('Cause nobody has time for that!) Did we mention they also smell so amazing!!! Read our detailed fragrance descriptions so you can know what scents are just right for you! *This product is derived from Sustainable coconut and palm oils, and conforms to Ecocert's natural and organic cosmetic standard and is 100% of natural origin. ** Biodegradable glitters and lustres do not contain any plastic and are completely safe to go down the drain. They do not pose any risk to aquatic life and make the water look oh so stunning! Have a question? Ask us! I will get back to you in lightening speed! 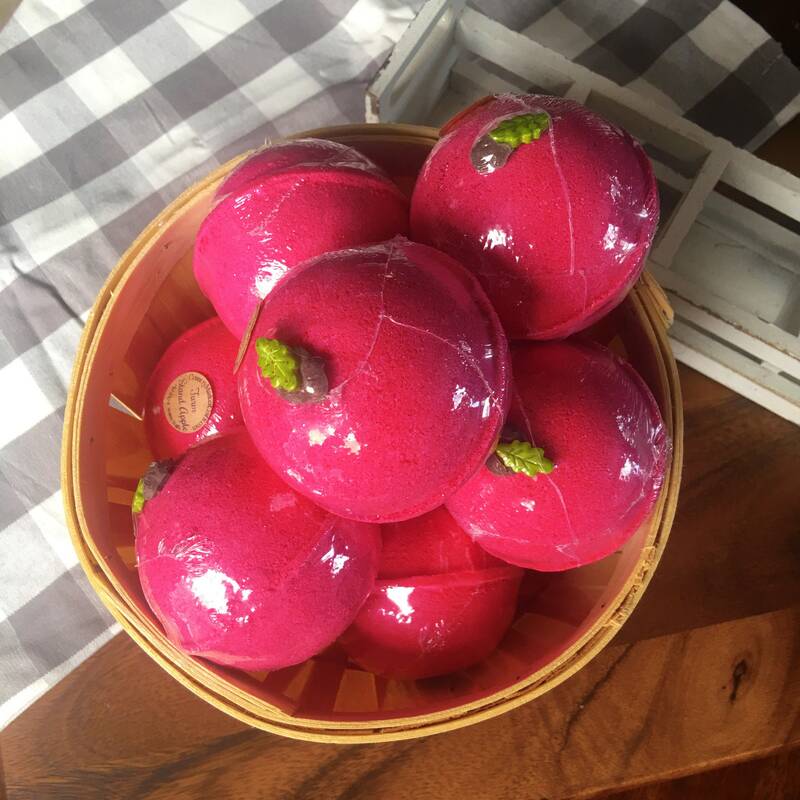 ♥Gifting♥ These bath bombs make the best gift ever! You can send them straight to a loved one and enter a gift message at check out! We will be sure to give them the note and note include any prices! Also FYI to US customers we clear all US items with customs so you will NOT have any unexpected duty. ; ) Yeah we think of everything! 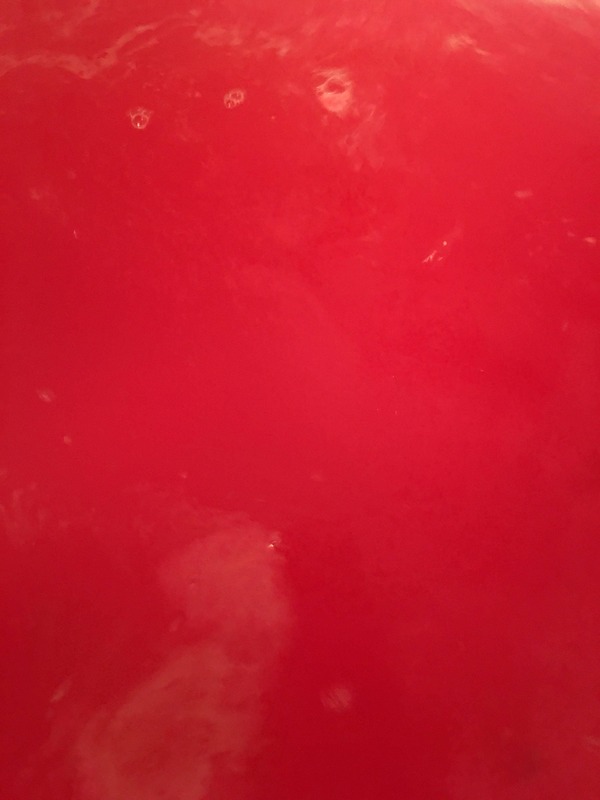 Although I didn’t care for the smell of this bomb very much, it made the water such a gorgeous, vibrant pink! It was also super moisturizing and made my skin so soft. If the scent was better I’d absolutely repurchase this one!